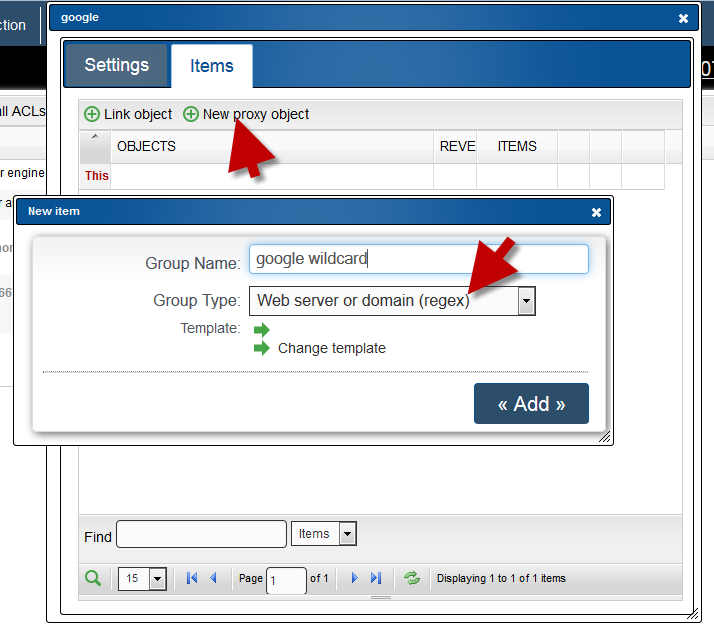 Under the Access control list, create a rule and define the rule property. google: This looks for the word google from the client’s request. By default artica is able to transform your value into a regex value. If you want to create a real regex use regex: prefix. 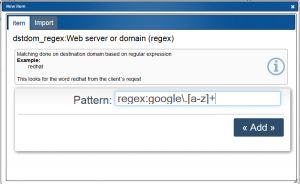 Example: regex:google\. [a-z]+ allows you to define a full regex pattern.